The C1 is an ultra-portable notebook. 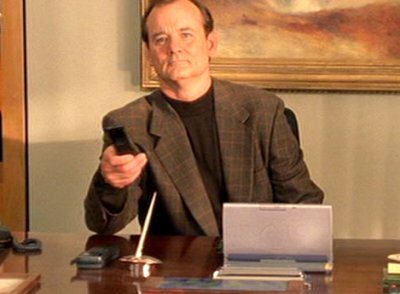 The girl's sidekick Bosley owns the C1 and uses it to hunt down the voice recognition software. 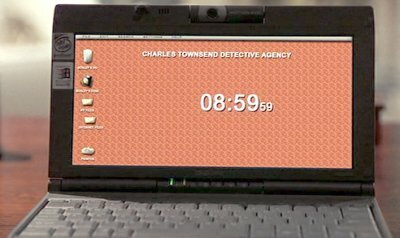 Yelena uses the powerbook to confirm Xander's payment for the cars and to upload photos of Yorgi's safe. 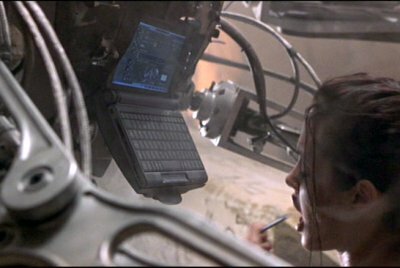 The VAIO is an integral part of an intelligent combat robot that Lara uses to hone her tomb-raiding skills. This is a bit more than a Sony Aibo and, assuming it was technically possible, it would take more computing power than the C1 can offer. 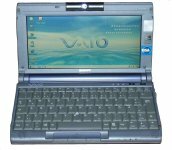 Neil takes a Vaio C1 onto the plane and uses it for video communications back to the FAA.